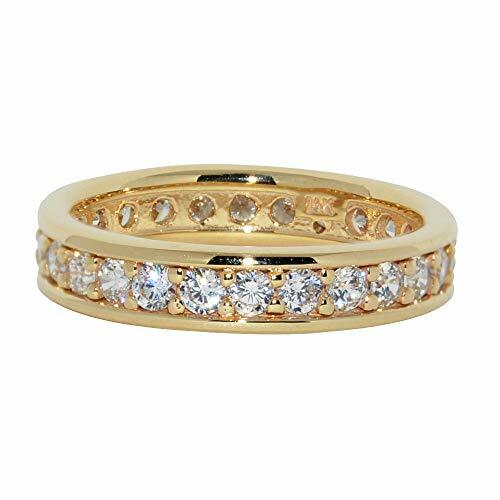 This gorgeous eternity band packs a dazzling punch without the hefty price tag. 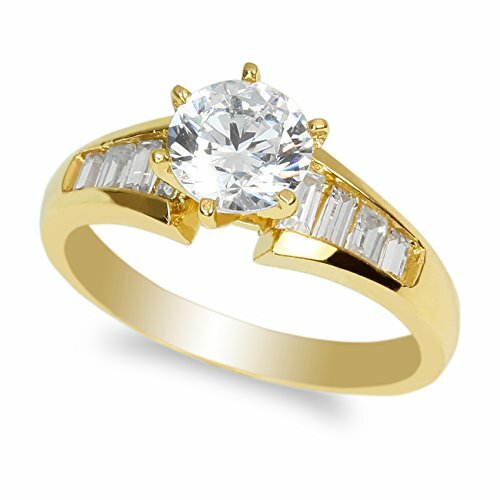 Crafted completely of 14-karat yellow gold and with a full circle of sparkling pave'-set cubic zirconia in a channel setting in the center. 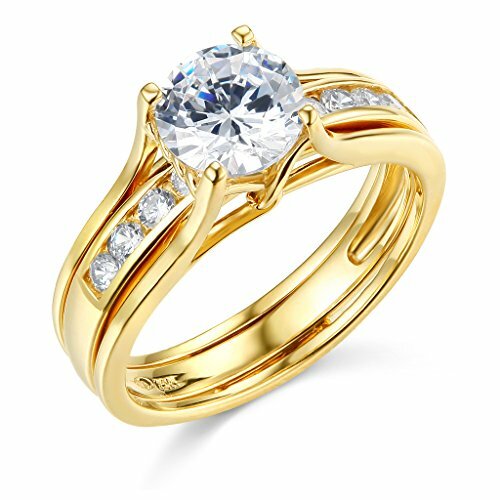 The 2 mm round-cut cubic zirconia is of the highest quality and the number of stones vary per ring size. 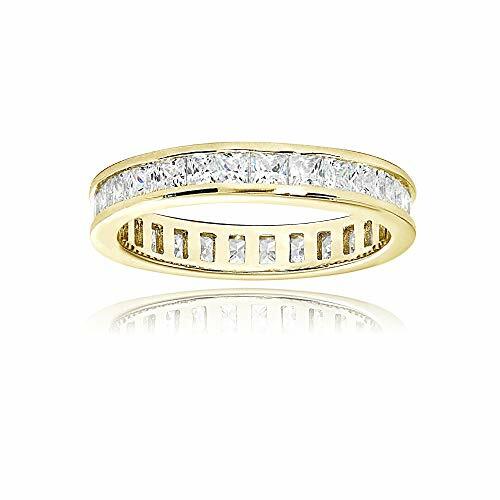 This 4 mm wide ring is a perfect accompaniment to any engagement ring or can be worn alone or even stacked with other bands. 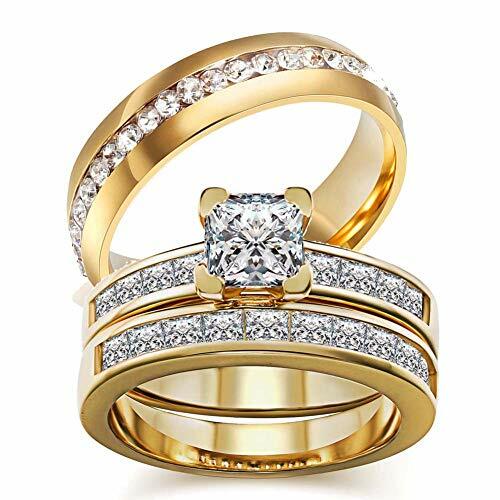 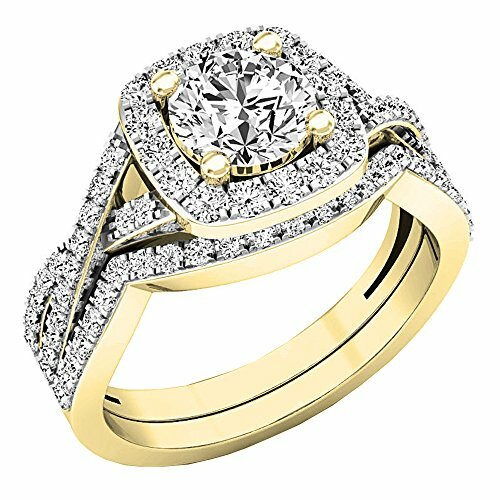 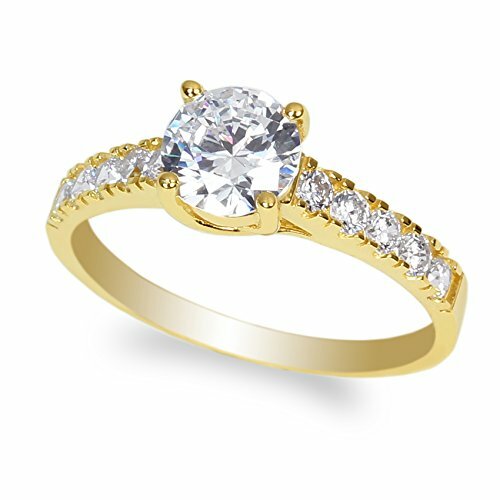 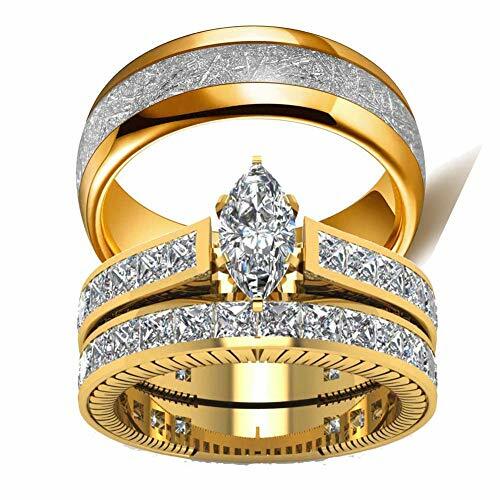 Details: Crafted of 14-karat yellow gold Round-cut, pave'--set cubic zirconia measure 2 mm 14k-gold weight is approximately 4.1 grams (based on ring size 7) Ring width: 4.03 mm Ring depth: 1.95 mm All weights and measurements are approximate and may vary slightly from the listed dimensions. 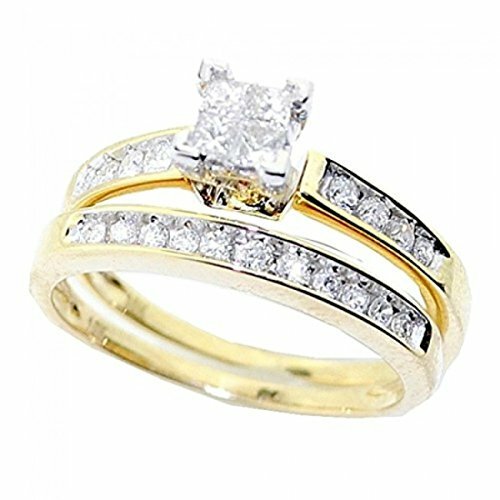 Shopping Results for "Wedding Set Yellow Gold Setting"